Camden, Maine, June 12, 2018 – Donna M. Ehrler was recently named Senior Vice President, Director of Commercial Banking for the New Hampshire region. Ehrler brings over 35 years of corporate banking experience, and she will be responsible for cultivating Camden National Bank’s commercial lending business in its growing New Hampshire and Northern Massachusetts markets. Prior to joining Camden National Bank, Ehrler held Senior Vice President roles in the commercial banking departments at Bar Harbor Bank & Trust, Northway Bank and Peoples United Bank. She is experienced in all areas of business lending, including commercial and industrial, asset-based, investment real estate and commercial construction. “Donna’s impressive industry experience, knowledge of local markets and commitment to her customers make her a very strong addition to our growing New Hampshire team,” said Tim Nightingale, EVP, Senior Lending Officer at Camden National Bank. Ehrler is deeply committed to local organizations and community events. 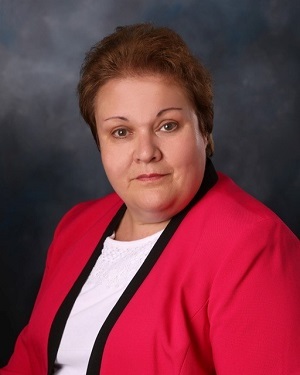 She is a Board Member of the Manchester Rotary Club and the New Hampshire YWCA, and she serves on the Downtown Committee for the Greater Manchester Chamber of Commerce and the Commercial Lending Committee for the New Hampshire Bankers Association. A New Hampshire native, Ehrler currently resides in Francestown, New Hampshire with her husband Vincent and their daughter Nicole. Camden National Corporation (NASDAQ:CAC), headquartered in Camden, Maine, is the largest bank holding company in Northern New England with $4.1 billion in assets and nearly 650 employees. Camden National Bank, its subsidiary, is a full-service community bank founded in 1875 that offers an array of consumer and business financial products and services, accompanied by the latest in digital banking technology to empower customers to bank the way they want. The Bank provides personalized service through a network of 60 banking centers, 74 ATMs, and lending offices in New Hampshire and Massachusetts, all complemented by 24/7 live phone support. 2017 marks the 8th time Camden National Bank has received the “Lender at Work for Maine” Award from the Finance Authority of Maine. Comprehensive wealth management, investment and financial planning services are delivered by Camden National Wealth Management. To learn more, visit CamdenNational.com. Member FDIC.